Forex is an exciting market, but has a steep learning curve. If you are a novice, be prepared for a lot of study and practice before your start trading. This is especially true because of the speed at which this trading is done. As you make decisions, you need to take multiple factors into account. Here are some tips to orient you in Forex, and help you decide whether to enter this fast-paced trading market. 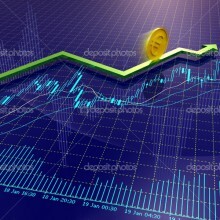 You will find a number of Forex brokers online. Read the details of what they offer. They want your business. One of their best inducements is an offer to set up a temporary practice account for you. This allows you to experience trading theoretically, without putting any money down. It is like learning to fly a plane using a simulator. It will give you the feeling of it; will let you try the quick decision-making. You can find out if the pace is something you can handle. If not, you can bow out with no loss of funds. 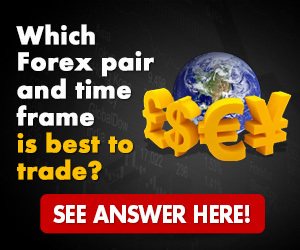 This chance to try Forex trading without putting any of your cash on the line is invaluable. Choose a broker that offers this. Begin your venture into forex trading with a cool, realistic frame of mind. Be determined to be skeptical of the hype and the lure of quick riches. This is serious business where you can lose a lot as well as gain a lot. The ups and downs create pressure and stress. Be prepared to step back when you are unable to make decisions coolly and keep up with the pace. You are less likely to lose money if you can detach yourself instead of rushing forward. You need to be sharp and fully focused when engaged in Forex trading. If you decide to do Forex, decide beforehand how much money you can afford to risk. Also set a daily and/or weekly limit, and have the self-discipline to not change it. You should spend weeks if not months studying this type of trading before you even start a demo account. Learn the terminology used by Forex brokers. You need to understand symbols at a glance. 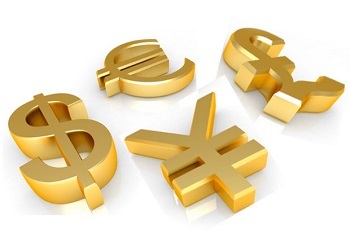 Similar to stock trading, Forex has symbols for the various currencies. EUR/USD means the trade is between euros and dollars. This is the most common trade. This is a “currency pair,” showing the two currencies being traded, one for the other. The first currency listed is the base currency; the second is the quote or counter currency. The exchange rate is the amount of quote needed to buy a unit of the base. Your broker will list both a “bid” and an “ask” price for a trade. 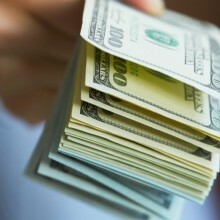 The bid price is paid by your broker, when you sell. The ask price is the one your broker sells at; the rate you will pay. There is always a difference between the bid and ask price, with the bid price being less than the sell price. This difference is called the “spread.” It is where your broker makes money. The spread can vary with different brokers, so it is worth your while to check what several are offering. Before you begin trading with real money, this terminology should be second nature. You need to recognize symbols instantly. You won’t have time to look them up. This has just been a brief introduction to what Forex trading involves. It can help you decide whether you want to explore further, or seek a less fast-paced and risky form of investment.